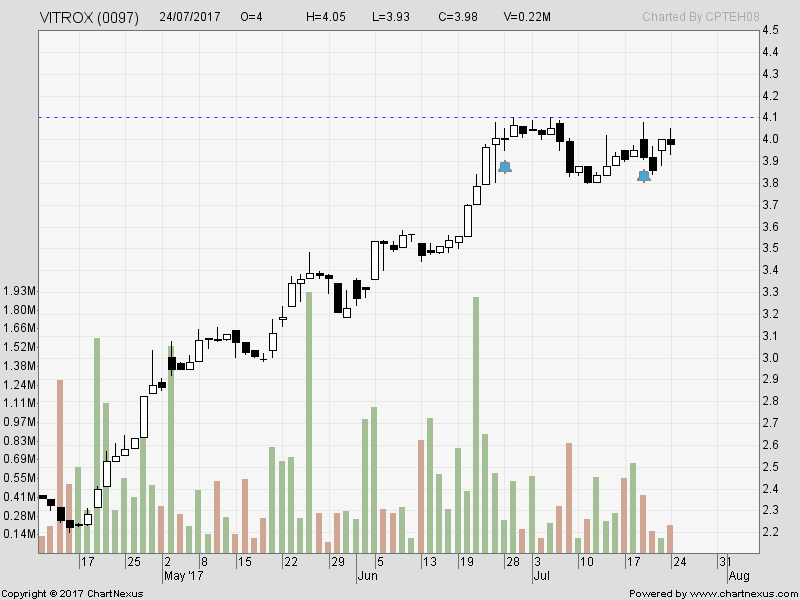 This is VS daily chart before it breakout yesterday ... and I bought. 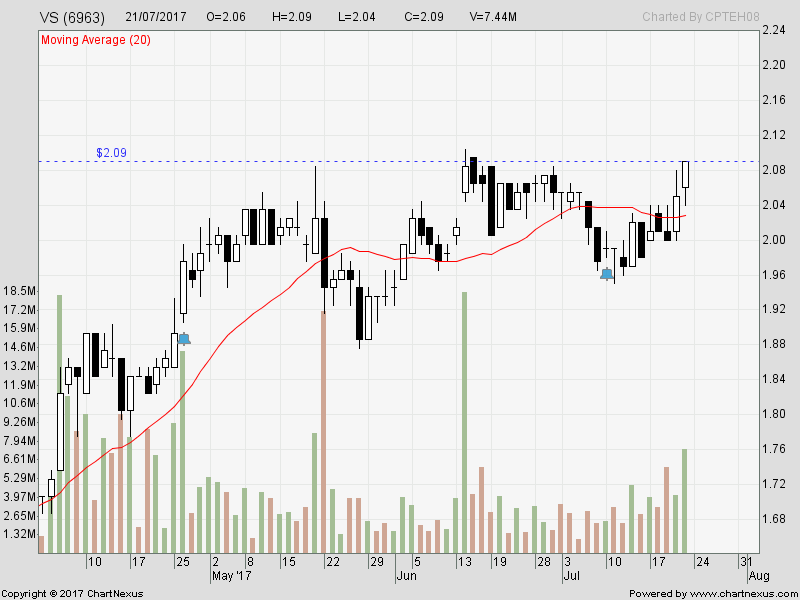 This is Vitrox daily chart ... at current it is breaking above RM4.10 (adjusted ex-bonus-issue). 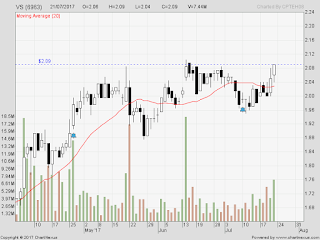 Buy on breakout. 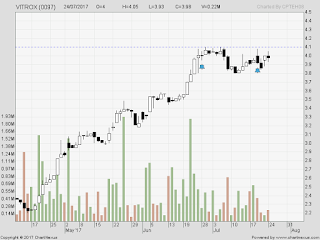 In last night's e-meeting, I have to keep reminding members to trade UP-trending stocks which in-play.